Recently, Origins winter dresses 2014 volume 2 for women have been launched. Firstly, we would like to discuss the brief introduction of Origins as a brand. Well, Origins is considered to be leading and popular clothing brand in Pakistan. Basically, Origins is a women wear clothing brand because it offers stunning dresses for every occasion and season. Till now, Origins launched so many collections and each collection gained good response by Pakistani women. Almost all the collections by Origins are available in ready to wear pattern. The main product lines of Origins are casual wear and party wear. Now after getting positive success from its winter collection 2014 volume 1, now it is back with another collection. 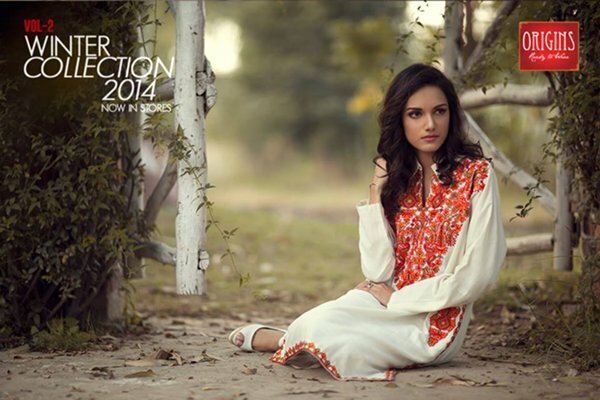 Recently, Origins launched its latest and exclusive winter collection 2014 volume 2 for women. 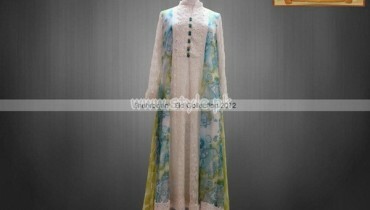 This new collection has been specially launched for winter season. This winter collection 2014 includes elegant dresses with new stitching styles. Origins winter collection 2014 includes long shirts with tights and trousers. 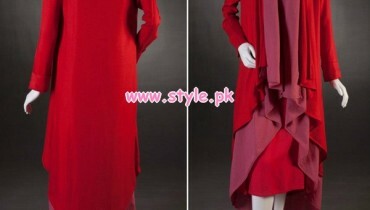 All the winter dresses are designed according to latest stitching styles. Origins has adorned this winter collection with beautiful embroidery work on all over the shirts. If we talk about colors then Origins used bright colors like red, pink, blue, white and many more other colors. Origins has designed these winter dresses in ready to wear style. Young girls can wear these winter dresses as casual wear. Origins launched this winter collection through photoshoot. The feature model is Meera Ansari. Few pictures of Origins winter dresses 2014 volume 2 for women are given below. If you want to see the complete collection with price range then visit its facebook fan page. The link is mentioned below. Overall, we can say that Origins winter dresses 2014 are elegant and stylish.